I think I'll collect on this note now. 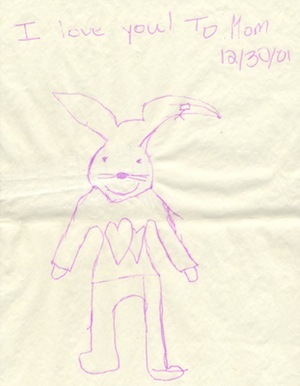 Now that my kids are basically grown, I love looking back at all the precious notes and pictures they lovingly drew for me when they were little. Gosh, at the time you love those notes, but you forget that they won’t go on forever! 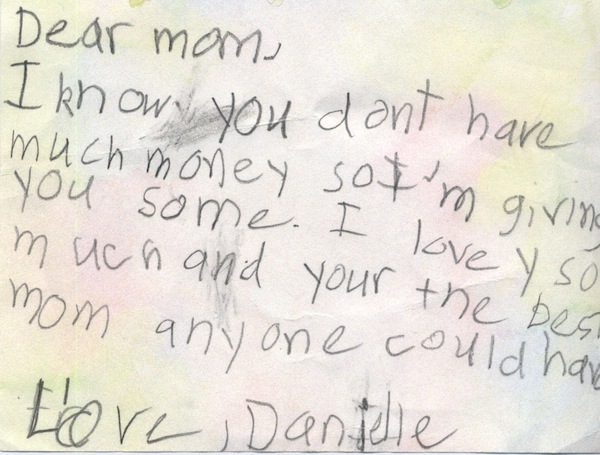 I think I need to rent some kids so I can get more notes…they make you feel all warm and fuzzy inside. Nice post. I be taught one thing tougher on totally different blogs everyday. It would at all times be stimulating to learn content from different writers and apply a little bit something from their store. I’d prefer to make use of some with the content material on my weblog whether or not you don’t mind. Natually I’ll offer you a link in your web blog. Thanks for sharing. Thank you for your post. Great share. best yet Here’s some mildly amuzing stuff I found: Thought for the day? : It’s always darkest before dawn. So if you’re going to steal the neighbor’s newspaper, that’s the time to do it. I have witnessed that intelligent real estate agents just about everywhere are warming up to FSBO Advertising and marketing. They are seeing that it’s not just placing a poster in the front place. It’s really pertaining to building interactions with these retailers who at some time will become buyers. So, whenever you give your time and energy to aiding these retailers go it alone – the “Law associated with Reciprocity” kicks in. Interesting blog post.